I am a very low maintenance teacher (and proud of it). I am a big believer in time management, and only spending my time on things that are going to positively effect my students’ learning. 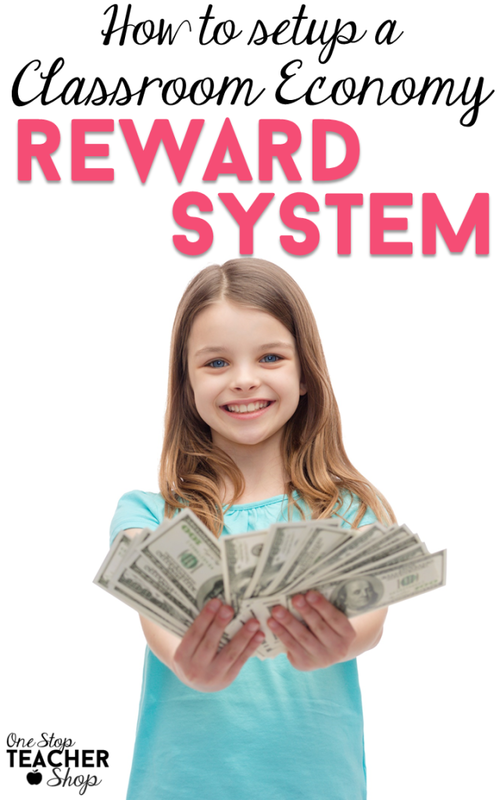 For a few years I tried the Economy Reward System in my classroom…What’s that, you ask? Well…An Economy Reward System works just like a real economy. Students earn money (fake of course) and spend money they earn. I began doing this with actual play money (a BIG hit with the kiddos but not very effective when it comes to time management). Plus, I found that as I moved to teaching 5th grade, I had the problem of students “losing” their money. After a year or two, I moved on to check books, which after much trial and error is now my preferred method. 4. Rewards from our class store (Includes: homework passes, lunch w/ friends passes, lunch w/ teacher passes, computer time pass, and various toys. I have a chart where my student of the week keeps track of everyone’s daily behavior letter (E,S,N or U) and daily homework. 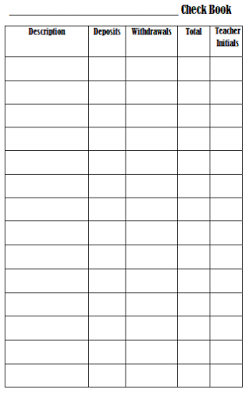 Each student has a check book where I can add money each Friday (sometimes every other Friday). It takes me about 20 minutes to add up the totals (take away rent) and add the money to the check books. As the year progresses, I have a few reliable students help me with this process. I open my class store two days a week. Students decide what they want to spend their money on, subtract the amount from their total in their check book, and I sign off on their purchase (of course checking their math). I print them front and back on card stock. Each student has a pocket on the wall where these are kept. Well, this is my version of an Economy Reward System. I am always changing and tweaking it as needed.